You're an explorer, making your way through a jungle in search of treasure. But there are dangers lurking around every corner. Well...jungles don't have corners, but you get the idea. The first player to collect four matching Relics, move to a helicopter clearing, and use three Action Points, wins the game. Place the starting tile in the center, and then each player puts his explorer on one of the camp spaces and grabs the Backpack rack in his color. Randomly place one of the starting Jungle tiles onto any empty space adjacent to an Explorer. Any unused starting tiles are removed from the game. Place the regular Jungle tiles, Animal figures, Board Supplies (with the green faces), Curse marker, and feature tiles next to the board. Place the Draw Supplies into the bag. Place Relics facedown onto the Relic Table spaces on the feature boards--the Mountain has 4, the River 6, and the Cave 6. Place the remaining Relics facedown in a pile next to the board. On your turn, you'll roll the two dice--the animal one and the number one. If an animal is rolled, and one of those animals is on the board, it moves. Starting with the person who rolled, he will choose one of those animals and move it one or two spaces. If there are any other of that type of animal, then the next player clockwise will choose one of those unmoved animals and move it. This continues until each animal has moved. There are some specific rules on where and how an animal can be moved, but those aren't important for the review. If an animal moves to a space with an explorer, an encounter happens. What that looks like will depend on the animal. Snakes will cause that explorer to lose a turn, but a player can trash a first aid kit supply token to avoid it. Boars cause you to lose a turn and become "knocked unconscious"--which means all of the things in your backpack are placed on the space, and can be stolen by other players until you pick them up on your next turn. This can be avoided by playing a trap or tranquilizer supply token. Panthers wreck you even worse, and cause you to lose your stuff and be MedEvacced out. You can enter on a helicopter clearing of your choice, and hopefully make your way back to where your stuff is. Again, tranqs and traps can help with this. Monkeys will take a random item from your bag; hopefully it's not a Relic. They can be bribed with bananas. The number die will give you a result of either 2, 3, or 4, and that's the number of actions you can take. As you move through the jungle you'll reveal new tiles, and sometimes animals or Relics or new features will be revealed. There are rules that govern what can and can't be traversed, and how many action points it costs, but, again, it's not important for the review. Just know you'll be moving around, trying to avoid animals and trying to get Relics. There are three special features that have loads of relics on them. The Mountain, Cave, and River features are all triggered when you find certain tiles. The feature is now moved to the board, and the Relics on them are open season. But each feature also takes a special supply token to traverse. So a Raft to get on the river, and a Headlamp for the cave. It's evocative and interesting. The Relics have six different insignias and six different colors. Someone has to have four matching Relics--either the same color or the same insignia, make it to one of the boards helicopter landing spots, and spend three action points. Each backpack only holds eight items, so this makes for some interesting decisions, as the closer you get to winning, the fewer handy tools you can carry in your backpack. So you might be winning, but you're also vulnerable. Firestone--I really did like this game, but the fact that your actions each turn are determined by a die roll just kills this for any kind of serious play. That simply means it's a family game, and that's okay. Jeremiah--Yeah, that die roll is a head scratcher for me too, but definitely not a killer. Our family and my gaming friends enjoyed it. If the die is that big of a killer I think playing with a house rule of a set amount if actions is a suitable option. Firestone--The exploration aspect of this was great. In a game such as Tikal, the jungle is still constrained by the board, so the "exploration" aspect is mostly muted. I think one of the reasons Carcassonne works so well is that it can go anywhere and everywhere, so you're never sure what the board will look like. Similarly, the jungle we revealed in Relic Expedition was different every game. And the special features like the cave and the river add even more interesting exploration options. It just works. Jeremiah--Couldn't agree more, the feature pieces are a nice variation from just placing hexes. But the art design and the way the jungle is revealed as you explore it is awesome! Every time we play the jungle looks unique and picturesque! Jeremiah--MEEPLES, MEEPLES, MEEPLES! Monkeys, snakes, jaguars, boars, Indiana Jones-looking adventure meeples! They're all awesome. Everything about this game's bit and boards is super well done! Firestone--Yeah, that's all top-notch. Those animeeples are great, and way better than just using tokens. The board tiles are all nice and thick, and the artwork is great. And I really like the art and aesthetic of the supply tiles; those just grabbed me for some reason. Jeremiah--My only complaint is the rule book; it's a small book, designed to look like a pocket field guide. I get it: The form is awesome, but the function isn't so much. The learning curve isn't that strong on this one, so you don't have to grab the rule book too often after your first play or so, but the rule book made it a little tough for quick-referencing certain scenarios. Again the form is awesome and it fits the theme perfectly. But the function leaves a little to be desired. Firestone-- Making it a Field Guide was clever and evocative--and I didn't even mind that it was small. It has color pictures, and line drawings of the animals, like you would find in an old scientific journal. That's cool! If it had been organized better, and had everything I needed, I wouldn't have complained at all. As it is, there are a few times where the Field Guide says, "See the Quick Start Guide for details." Well...no. A quick-start guide should never have the details. It's a quick-start guide. The rules should have everything, and the quick-start guide should be for starting...quickly. It should gloss over rules. That, and the fact that rules weren't found where you expected them to be made it a little slow to get started. It's not overly complicated, and after a couple of games you probably won't need the rules at all, but for the first couple, it's kinda rough. Jeremiah--While I agree that the dice roll to determine the number of actions a player gets each turn is maybe a little to far down the random trail, using the die to determine which animals--if any--move/attack that turn is spot on and the way it plays out is seamless and balanced. Jeremiah Final Verdict--We've certainly seen our share of Kickstarter games that have come to market with questionable gameplay, component quality, and everything from minor to major design flaws. But Relic Expedition is one of the best Kickstarter games we've seen! The game is fun to play, has massive replay value, is gorgeous to look at, and appeals to everyone from kids, to families, to casual players, and maaaybe even some serious gamers. We didn't do a list of top Kickstarter game's but if we did, Relic Expedition would be a top 5 game on that list, no doubt. So with that I say, emphatically, put this game on your table! Firestone Final Verdict--I've been thoroughly impressed with Foxtrot's first game. They stumbled a bit on the rules, and I can't get on board with the action die, but this is a great, great family game. It can be hard to truly capture the feeling of exploration, but Relic does that really well. As the board opens up, you realize how well done the game is, and how thought-out the decisions are. Combine that with cool animeeples, great artwork, and a little luck, and you've got a game that deserves to be on your table. We'd like to thank Foxtrot Games for providing review copies of Relic Expedition. This in no way affected our opinions on the game. A week or so ago we featured a nifty looking game in a Kickstarter Weekly piece called Relic Expedition, by Foxtrot Games. We contacted them and they were gracious enough to send us a print-and-play version of the game, as well as take some time to sit down and give us an interview, which we ran yesterday. Today I (Jeremiah) will give you my review of the game, and then in the near future we will post a definitive Double Take review of the game once Firestone has played it. Again I need to stress the version I played was not a finished product, so I won't be able to comment on the final quality of the components and artwork, so I'll focus mostly on the game itself. Setup - The game is setup by taking the base camp feature piece, and placing it on the table. Each player then places their pawn at one of the starting hexes on the base camp, and then you place one starting tile in each adjacent space to each of the pawns. A bunch of supply tokens (except vines, bananas, and four panther traps) are tossed into the bag, and the treasure tokens are turned face down in a pile. The remaining tiles are stacked face down (there are even more if you are playing the advanced version with banana, and vine tiles). Each player is given a tray that acts as a backpack to hold supplies and treasures and a d8 is rolled to determine the first player. Gameplay - The gameplay is pretty easy to learn quickly with just a few tweaky rules on movement to be aware of. On their turn players roll two custom d6's, one with numbers ranging from 2-4 on it, the other with one of four animal icons on it and two blank sides. If there are no animals in play (and there aren't at the beginning of the game) ignore the result of the animal die (or just don't roll it). The result of the numbered die is the number of actions a player can take that turn. Actions include moving one hex, or drawing supplies from the supply bag. And a few other special things we'll talk about in a minute. As the players move their pawns, more of the jungle is revealed by taking one of the stacked jungle tiles and flipping it over in all of the adjacent open spaces next to the location where there pawn just moved. Do this for every space that is empty and adjacent to the pawn's new location. As you flip these new tiles into place you begin to discover new areas of the jungle—you may find treasure, or quicksand, or animals that will attack you when they get the chance. There will also be starting points for feature pieces like the river, the cave, and the mountain, which all require special gear to navigate (head lamps, rafts, and climbing gear), and are packed with 4-6 treasure tokens each. There are also helicopter clearings that are discovered and allow players to travel from one clearing to another by spending 3 actions. As players move throughout the jungle discovering animals and treasures, they can pick up treasure (and don't forget they can always grab gear from the supplies bag) and drop items out of their backpack to be picked up later by other players, in order to make room for more treasure—but you better hope you have that tranquilizer dart when a panther comes running for you! Animal encounters - As animals are revealed in the jungle, players will get the chance to move them and send them to visit their opponents whenever the corresponding symbol is rolled on the animal die. Once an animal has been rolled, each player takes turns controlling one of the animals in the jungle (if there are more than one of that specific type) starting with the player whose turn it is. They can move the animal 1 or 2 spaces in hopes of attacking another player, or sending it away from themselves! Each animal can only be moved once per turn, so other players cannot control the same one you just moved away from yourself. If they do enter the same space as the player, the player is either poisoned (by the snake), knocked unconscious (by the boar) or hospitalized and knocked out of the game completely (by the panther). Or if you're playing the advanced game the monkey can come and steal an item from your backpack! Each of these attacks has different results, but most of them mean you lose your next turn, and the worst of them removes your pawn from the game board, and leaves all of your supplies on the space where you were attacked! After your skipped turn you return to the game at the base camp and can make a mad dash for your dropped supplies, or move on and try to recover. End game - The game ends when one player collects a set of 4 treasure tokens; the set can either be all of the same color, or all of the same type. Once they've collected their set, they then need to head back to any helicopter clearing and use 3 actions to be picked up and carried safely out of the jungle to win. Components - I'm commenting here on what is pictured on the Kickstarter page. The only down side of the components is that the animals get these really cool looking meeples and the players get your basic "Pandemic" looking pawns. Would love to see an Indy'ish type of meeple for the players. I loved the artwork—the jungle pieces and feature pieces look great! I can't wait to see them on real tiles and not just card stock! Gameplay - The game plays fairly quickly, and was really quite easy to learn and teach; a few turns in and you find your strategy unfolding as the jungle is revealed. We had one player off on his own on the other side of the jungle, which didn't bode well for him when animals starting popping up left and right, with no one else for them to go after in the area. I really enjoy the variance of having a board that is never the same, it simulates very well the feeling of exploring a jungle and not knowing what is more than just a few steps ahead of you. A lot of folks are comparing it to Carcassonne because of the way the board takes shape sort of organically. I think that's a fair comparison and a great compliment to the game. Carcassonne is a perennial favorite in the gaming community, and when a game can hearken back to a great game and put a fresh spin on the concept, it's a cool thing that adds to the gaming culture. Like I said earlier, there are a few tweaky type of rules to be aware of, such as dense jungle on certain edges of certain tiles, and ways to swing across quicksand. As well as the different "states" that animals are in after they encounter a player. But they aren't terribly difficult to grasp, and they don't slow the game down. The dense jungle works well with the supply concept and makes it worth grabbing some tokens in hopes of finding a machete. Overall - We had a lot of fun with this one. Relic Expedition blends its theme into gameplay mechanics extremely well, I can see my boys really enjoying this game, as well as serious gamers. There are plenty of decisions and hand-management choices to make, as well as a high replay value due to the ever-changing landscape from game to game, and even turn to turn. I'd love to see this expanded into 5-6 players; it seems to lend itself easily into that, but it needs funded first! We would like to thank Randy and Tyler of Foxtrot Games for setting us up with the prototype of the game to give a test drive! There's still time to fund the project on Kickstarter as well. Are you backing the game? We'd love to hear from you! Join the conversation in the comments below. Or chime in on Facebook and Twitter. Today we have the distinct pleasure of chatting with the brains behind Foxtrot Games, and the creators of Relic Expedition, Randy Hoyt and Tyler Segel. Guys, thanks so much for taking some time for us today! First off, can you tell us a little bit about yourselves, and how Foxtrot Games came to be? RH: My name's Randy Hoyt, and I work professionally as a Web developer and a technology educator. I teach Web development for a startup called Treehouse. I live in Orlando, Florida, with my wife and two boys, ages 6 and 1. TS: I’m Tyler Segel. I am the Creative Director and co-owner of Factory North, a graphic design studio in Portland, Oregon. I enjoy playing board games with my wife and our friends, going to Timbers soccer games, and camping in the Pacific Northwest. We have a family reunion every summer, and Randy and I always bring a few board games from our collections. Last summer, we struggled to convince the rest of our family to play games with us. We realized that there was a gap in the market for a game that was easy to learn and had a relatively short play time, but still had enough strategy to hold the interest of Randy and me. We brainstormed quite a bit during that weekend, and then Randy took off with our idea and came up with some solid mechanics. Being in the creative field, it was really important to me that the game looked good. There are so many fun games out there that just look slapped together. I really appreciate when game designers pay attention to those little details. How did you first get into board gaming? What game sealed the deal for you as a gamer? RH: I've been playing board games and card games for as long as I can remember. Every year at Christmas we would get a new family board game: games like Clue, Life, and Yahtzee. I would often play games by myself, physically moving around the table each turn and playing each player separately. I remember doing that with an old copy of Risk I found at my grandma's house; I still have that copy. I still love playing cards, the combinations of suits and ranks, plus the possibilities for amazing artwork on the face cards. I took a bit of a break from board games during and shortly after college, but I'd have to credit two games with bringing me back into it. The first was Texas Hold 'Em. I couldn't believe that people were watching others play cards on television, and I had a lot of poker nights. And then Settlers of Catan. That was my first Euro-style game, I suppose, and I've since been playing the new ones as they come out. TS: I grew up playing games like Monopoly here and there with my family, but I first got hooked on Euro-style games about 6 or 7 years ago. I was hanging out with some friends, and someone brought Settlers of Catan. I was immediately drawn to the mechanics and strategy of the game. There was so much going on and it was so interesting. That game really opened the door for me to board games. Have you ever gone on an expedition of your own? Or are you both just big fans of Indiana Jones? TS: I can’t say I’ve ever been on an expedition. I liked Indiana Jones when I was a kid, and I really thought that the jungle theme was fun and accessible for our game. I’ve always been intrigued by vintage comics, and I had seen some with a jungle theme that I had in mind for our game. There’s something about that aesthetic that really attracted me. RH: I actually never really got into Indiana Jones; The Empire Strikes Back and Back to the Future are my favorite movies from the '80s. Space travel and time travel appeal to me more than hacking my way through a jungle with a machete. I probably wouldn't make it one day on a real relic expedition! Take us through the design process of Relic Expedition; were there any games that influenced or inspired your design? RH: In that initial brainstorming session at the family reunion Tyler mentioned, we came up with most of the concepts in the final game: the expanding jungle board, the backpack constraint, the wild animals, the geographic features. (We had lots of other ideas that I felt needed to be pushed off to future expansions, such as roles with special abilities as in Pandemic.) We knew there would be collectible treasures but hadn't really worked out how someone would win. I didn't want the sheer quantity of treasures collected to matter; I wanted something more subtle than that. My love of playing cards, with their two attributes (rank and suit), came through here, I think, and I gave each treasure two different attributes (color and symbol). We talk about set collection at our house a lot, both the game mechanic and the psychological principle. Having that as the core mechanic for victory really appealed to me. I made a few different prototypes. The first was made out of cardstock and pieces cannibalized from other games. I played that with widely different rules a dozen times over two weeks, about one game a day. It was a fun process of seeing what was working and what was still lacking. I'll give you one example. In the first few games, players had to get all the way back to the basecamp board in the middle to win, and players would explore different parts of the jungle independently. I added helicopter clearings to jungle tiles for the sixth game; they really worked with the theme and really helped both of those issues. TS: I'm the younger brother. I get his hand-me-downs. RH: — Yeah, Tyler got the hand-me-down prototype. There were still lots of small modifications to the pieces and the mechanics. I played with the number of supplies, the amount of dense jungle, and lots of other things, swapping out pieces and changing stickers and what-not. TS: I started by researching and referencing illustrations and digging through tons of vintage jungle comics to find the look that I wanted. After that, it just became a matter of incorporating that look into the game from a functional perspective—figuring out how to illustrate all of the pieces of the game to keep gameplay running smoothly, while keeping the aesthetic that I wanted. I feel like we achieved a good balance of everything looking good but still serving a function. I had fun designing the animeeples. I thought it would add more to the game to have animal-shaped figures as opposed to wood blocks with stickers or cardboard. What is it about Relic Expedition that sets it apart from other games in the genre? TS: I think the main thing that sets it apart is its accessibility. I play board games with a lot of people, and usually at least one person in the group is playing a game for the first time. If a game is difficult to learn, it’s not very fun the first time around for the person learning it. I think Relic Expedition is easy enough to get the hang of that it is fun that first time you play it, and it just keeps getting more interesting as your understanding and strategy develop. I also like that it plays in less than an hour and that you can play it with just two people. There’s not many games out there like that. RH: Yeah, with so many games, the first few times through feel like trial runs or practice rounds while new players learn the rules. But with Relic Expedition, the tougher strategic choices really start once you have a full backpack. This gives new players a few turns to get oriented and to understand the mechanics, and then they can fully participate and enjoy that first game. A lot of people comment that the game is like Carcassonne because the board is made by laying out tiles, with that board having a different shape each game. But it's quite different in Relic Expedition because your explorer is actually moving from tile to tile, revealing new tiles as he explores. I'm really happy with how well the variable board mechanic and the explorer theme work together. Give us your top three games of all time, and why you like them so much. 7 Wonders: Simultaneous action, multiple approaches for victory points, lots of depth packed into a one-hour game. Tamsk: Abstract game with timers that you move. Yahtzee: Managing probability and risk; reconsidering your strategy with each roll. BONUS: Relic Expedition: Great theme, easy to learn, lots of replayability. I think it's now the game I've played the most number of times in my life. Through the Ages: Civilization building game. There’s a lot of depth in trying to balance so many moving parts. Pandemic: Working together to save the world! The cooperative mechanic is my favorite part about the game. Citadels: Fun 2-4 player card game. It has a really fun balance of strategy and luck and super-fast game play. Gaming is great—and we enjoy it thoroughly—but what matters most to you outside of gaming? Or is life just another big game we’re all trying to win? TS: What matters most to me is to enjoy my life with the people I care about and create experiences with them. Gaming fits into this because it is a way to connect with my friends and family. I appreciate the opportunity to unplug, turn of the TV, and use our imaginations. RH: Well, I do believe life is a game, an asymmetrical game where players start from different places and have different objectives—with skills and objectives changing multiple times throughout the game! I think playing tabletop games teaches you (on a small scale) many of the skills you need to be successful in life: managing resources, recognizing patterns, planning ahead, and cooperating or negotiating with others. But for me, games are primarily about spending time with family and friends. I see making a game as a serious responsibility and a great honor. It's almost magical or religious, taking unrelated bits of wood and cardboard and transforming them into something that brings laughter and joy to people I've never met. I have been so inspired by some of the feedback reviewers have been publishing over the last couple of weeks. One player said to me in an email, "The game has made my children and friends very happy. Not sure what more you can ask for out of a game or of life." Ok, now it’s time for the 1 word questions! Not that the questions are only one word, but that the answers should only be 1 word (or phrase)! K.I.T.T. or the General Lee? We would like to thank Randy and Tyler for taking the time to answer our questions and share a little more about Relic Expedition with us! 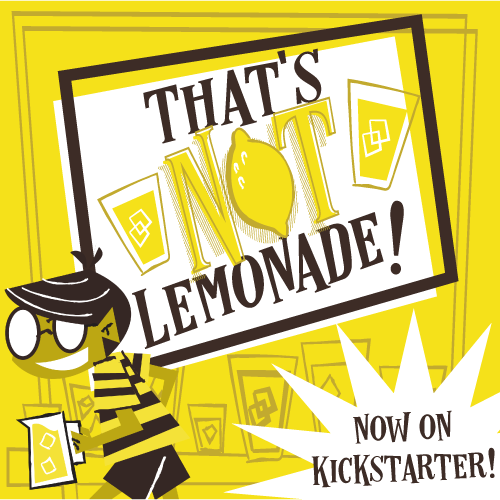 Their campaign is about 65% funded, so head on over and consider backing it! We have also been supplied with P&P prototypes of the game and will be posting our reviews of the game shortly, so stay tuned for that! Thanks for reading and don't forget to check out our Facebook and Twitter accounts for more fun and information! First, if the question is "ARE YOU ASKING FOR A CHALLENNNNNNGE??" Pixel Lincoln's answer would be "Yes.". As Jason Tagmire has issued a game design challenge! We brought TWO, yes TWO, Double-Take Reviews! One for the upcoming Emperor's New Clothes (which is still Kickstarting, until Monday. And the second for Jason Kotarski, and Dice Hate Me's, The Great Heartland Hauling Co. We both had awesome things to say about each one; go read all the words! Mayfair is making an even bigger name for Catan, and now it's showing up in classrooms! And Thursday we brought you TWO, yes TWO, Kickstarter Weekly Features. Relic Expedition which looks AWESOME (look for an interview with the Foxtrot Games guys soon!). And our good friends over at Game Salute are funding a cool accessory for your sci-fi themed games - Rocket Dice! And we've asked folks to chime in on our Facebook page and tell us who your favorite A-Team member is! Today on Good Friday, we take pause to remember the impact of the greatest act of love we have ever known. Check back with us this weekend as we continue to celebrate! Thanks so much for reading our posts we hope you find them 3 F's - Fun, Factual, and inFormative! Today's Kickstarter weekly features a cool-looking game of exploration and adventure. Relic Expedition is a game that features a variable board that grows as the game progresses. Players are treasure hunters searching for treasure in a deep and vast jungle. The game looks to be packed full of great strategic decisions, lots of variance, and a good mix of surprises. Relic Expedition will be (should it get founded) the inaugural title for Foxtrot Games, which is a couple of guys who are off to a good start with this one! The only down side to this Kickstarter is the price tag to get a copy of the game is a tad on the high side at $49. But judging from the images, you're going to get some really quality components! You can check out the campaign here, including a PDF download of the rule book! Are you backing this? We'd love to hear what pushed you off the fence! Or you still on the fence? Tell us why! Leave it in the comments below! Thanks for reading, and don't forget those Facebook and Twitter things! And we especially appreciate it when you subscribe over on the right!